We find Lindsey in a coffee shop in the heart of the Marais, a capuccino between her hands. 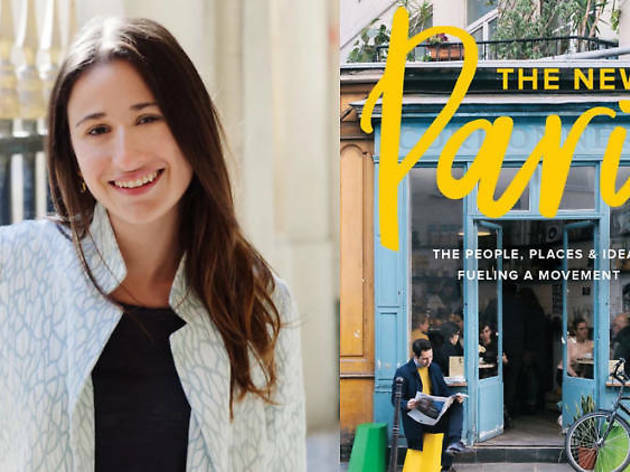 A journalist and author of the blog Lost in Cheeseland, Lindsey has made a name for herself sharing her expat life in the French capital. The bars she likes, the restaurants she normally goes to, the shops she loves. 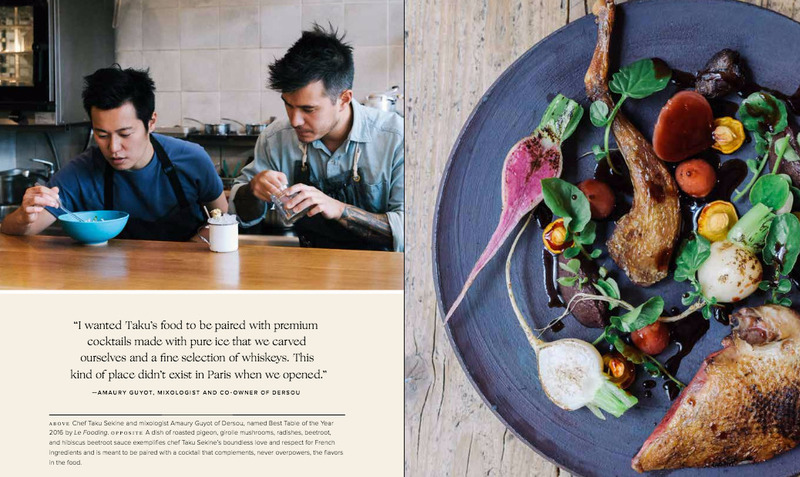 A city guide with detailed advice, interviews with chefs like Romain Meder, and more personal experiences. Originally from Philadelphia in the USA, the blogger principally speaks to anglophones but she doesn’t leave out those who hold Paris very dear to their heart. 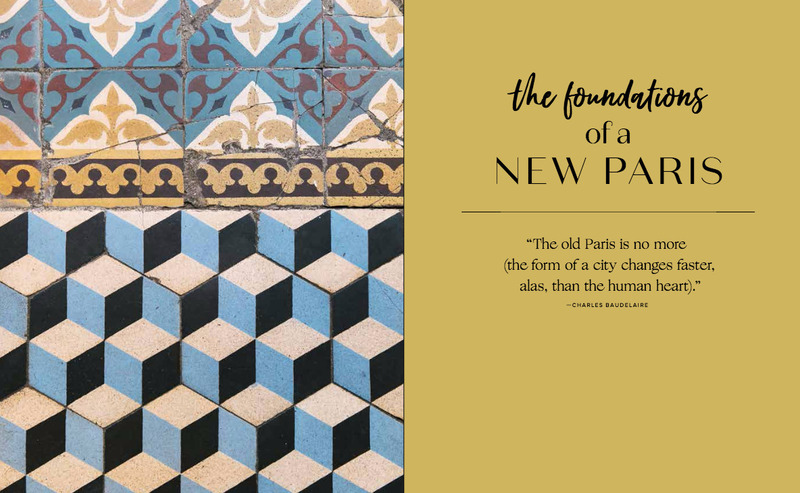 This knowledge and love of the city has led Lindsey to create The New Paris, in conjunction with photographer Charissa Fay. 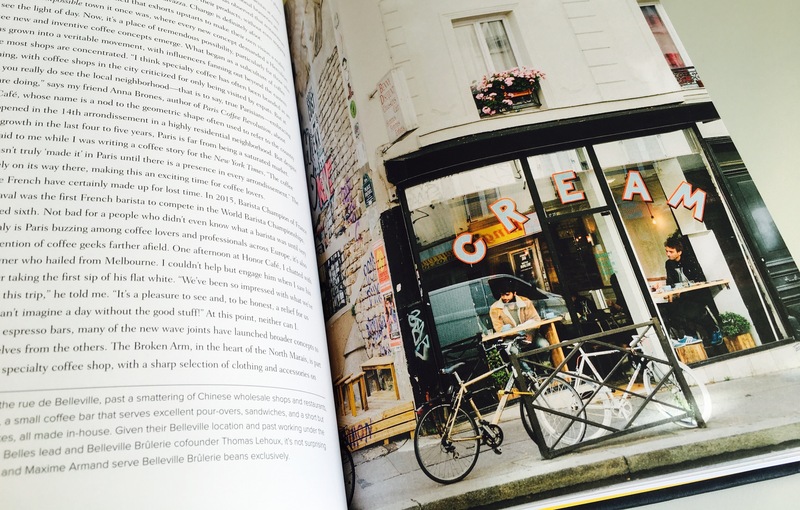 The book is an exploration into the changes in the capital and its inhabitants. How do we eat in Paris today? Where can you get a good coffee? What are the latest Parisian trends? All the players in this exciting transformation are reunited in this magnificent 270-page book. How did your blog Lost in cheeseland begin? I started my blog in 2009, when I was just discovering the town. I was looking at the restaurants which opened, made lots of little discoveries… I started to work as a social media manager at BBDO, which turned into working 4 out of 5 days so I took the opportunity to work on my blog more. Before the book came into view, I started to write for T-Magazine in the States, and wanted to have content on my site but to push it a little further. One day, my friend and mentor suggested I write a book about these changes I was seeing. “You know the new Paris, what you’re talking about in the press is modern Paris, all these changes in the city…” The idea had already been forming! And that was how The New Paris was born? Yes but there was a bit of a delay when I realised that it wasn’t just in food that things had changed. I saw more and more people that were adapting, following their passion, and reviving old savoir faire. That was the subject! I took my time to define the angle and to benchmark what was already on the market. The timing was great. I contacted a friend in America, who adored the idea, her agent too, and we began to shape it to approach publishing houses. I handed in my notice on January 5, 2015, left on April 2 and two weeks later I had an offer from Abrams publishing house, which is a brand of the La Martinière Group. So you had the angle for the book - how did you begin to write it? The research took a lot of time, meeting people, imagining chapters and shape of it. I spoke to around 60 people at different times and across different themes, not only food but fashion, shopping, and city life in Paris. It took a lot of time to find the thread that held it all together. There are so many openings and closures of bars, cafés and shops across Paris - how did you narrow it down? My editor wanted to make sure that we didn’t include anything that would be rapidly obsolete. When I started, the idea wasn’t to concentrate on passing trends but to document a movement, which is in many ways, is at its beginning. The changes that I show in the book were already in happening while I was documenting them. Paris continues to evolve. And luckily, Paris things don’t go as quickly as in New York, for example, where the scene can change dramatically in as little as 6 months. Change is picking up speed in Paris (especially in the restaurant business) but we’re far from the pace of New York! Why do you think Paris is slower? I think it’s down to the French mentality in general. This need to protect the past which took such a long time to build and be fearful of change. And then there’s this need to be adored by the world. Paris has been considered progressive during many moments of its history. 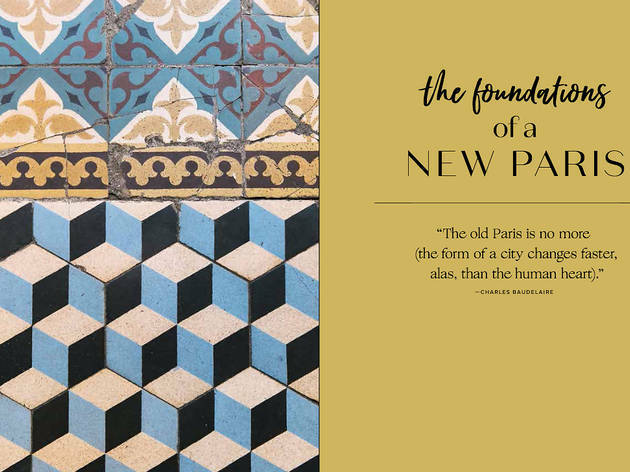 The New Paris is recognition to a new phase of progression. There are many factors which have inspired this. For one, access to information has transformed everyone’s lives. 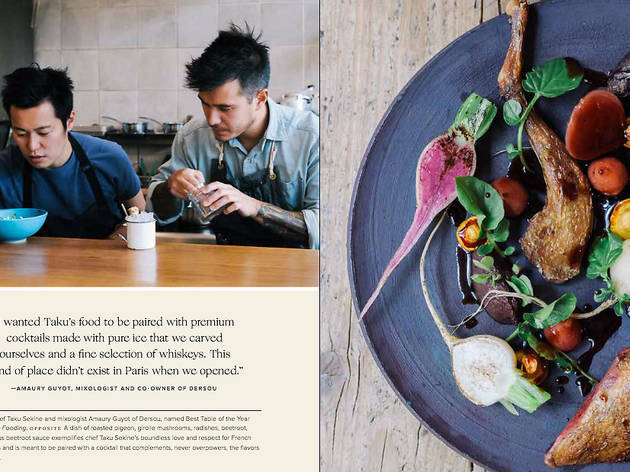 In the kitchen, this has been great for educating young chefs about other cuisines without having to travel. Social networks have also been a catalyst in people wanting to discover new things which in turn, motivates people to build new projects. If it works in London, why not Paris? The financial crisis also pushed people to leave their comfort zones, we don’t stay 20 years in the same company anymore. Has social media helped in the gentrification of Paris? Gentrification seems softer than in London or New York. If we look at rue des Archives next to BHV in the Marais, where Moncler, Fendi and Givenchy have recently opened. The place has completely lost the Marais spirit, but it’s taken a while. Commercialisation would have been a lot quicker in other cities. For you, which are the places in Paris that need to change? The train stations and how we interact with them! Things are already starting with Thierry Marx at Gare du Nord, Eric Fréchon at Saint Lazare. It’s a good start but there’s still work to be done. 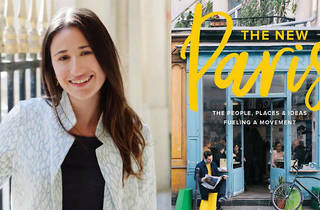 I think Paris will help change things in terms of sustainable development in the kitchen. In Paris we eat very well for little. When I was in NYC this autumn, I had the impression I was bleeding money! What shocked you most about Parisians when you arrived? There’s a side to Parisians that’s very negative, pessimistic. But at the same time very festive. There’s a real joie de vivre that you don’t find anywhere else! A mix of good sense of humour and cynicism is probably found in most Parisians. Often this sense of being quick to anger shocks expats when they’re not used to it. The administration! You always seem to be missing one bit of paper, but were never told in advance. For me, Paul Taylor's videos perfectly encapsulate these little Parisian nuances. For example, to have a bank account you have to have an postal address, but to rent a flat you have to have a bank account! Nightmare! As the saying goes, the more things change, the more they stay the same. And at the end of the day, we all complain but we love them for it! What is it about Parisian style? For a long time I tried to adopt different Parisian styles. In the USA we talk a lot of this definition of Parisian chic but in fact, there are several and all dependant on the neighbourhood! Yes, there are several icons; Caroline de Maigret, Morgane Sezalory, Héloïse from Christine and the Queens. There’s never just one. There’s definitely a European look. When I look at Parisian women in the metro, there’s an elegance that I just don’t have! I’ve noticed that they love delicate jewellery, even if they’re dressed in boyfriend jeans - these little details that bring a feminine touch. 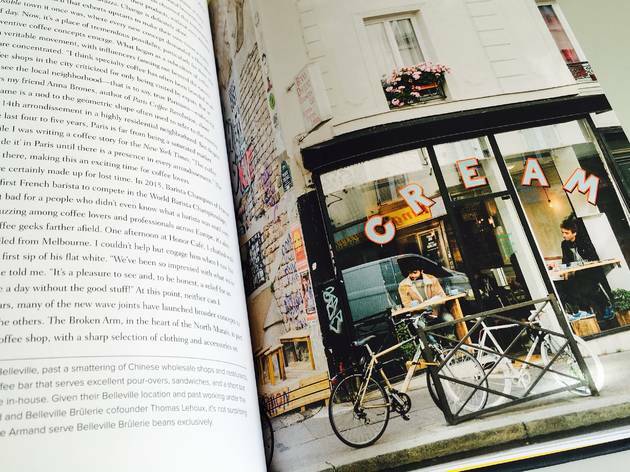 Your book talks about the history of different parisian places, what kind of places do you love? For breakfast or tea time, Du Pain et des idées. And always a pistachio-chocolate escargot! There’s also Fou de pâtisserie where you can try the work of lots of different patissiers in the same place. For shopping, I’d say Les Halles as there’s Sept-cinq and L’Exception with a big selection. To eat, 52 Faubourg Saint-Denis, or Tannat, which is the same style but more cosy. For cafés, I always suggest La Fontaine de Belleville. It does so many things very well: coffee itself, café culture and artisanal beer. I go to Café Oberkampf a lot, it’s become my cantine. I wrote a fair few pages of The New Paris there, sitting at the counter.